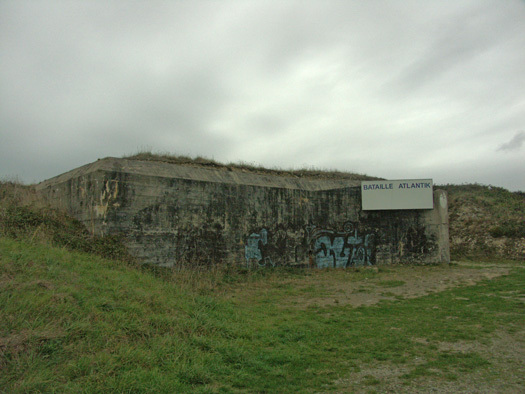 Batterie 4./M.A.A. 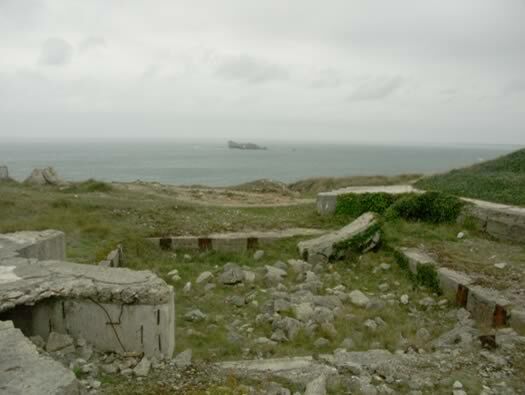 A naval battery. 4 x M270/SK 120deg Casemate. 1 x R162a Fire control Post. 1 x R638 a small dressing station. 4 x R622 twin group bunker. 1 x R656 unterstand for fifteen men. 3 x Fl243a heavy AA emplacement without annex. 4 x 7.5cm Pak 97/38(f). 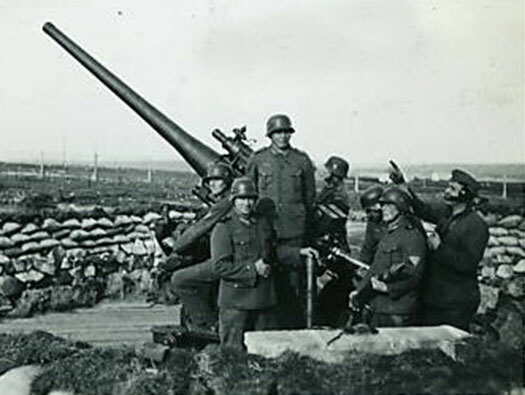 3 x 7.5cm Flak M22-24(f). R656 unterstand for fifteen men. 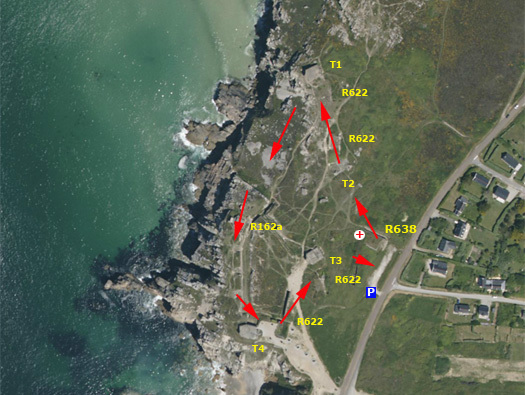 Plan of the batterie and also showing where to park and the route we took. C346 'M.K.B. 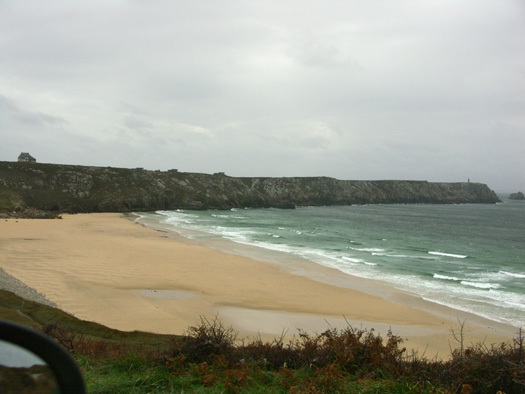 Kerbonn' The view across the Anse de Pen Hat. Formed June 1940 in Brest with five companies from 1-3/MAA203 & 4-5/MAA282. In 1944 they had eight batteries. 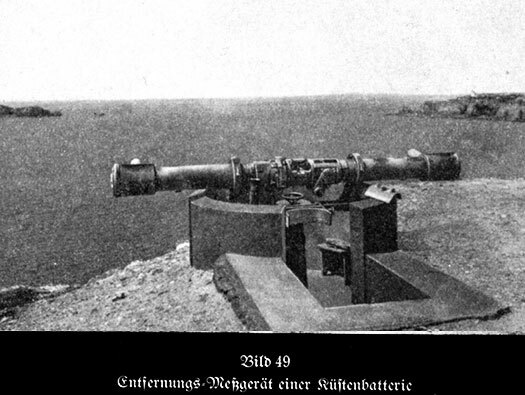 DEFE 44-98 JIB report on selected German coastal batteries in west France plan. C346 'M.K.B. Kerbonn' R638 Hospital bunker/dressing station. This is also where I parked and started the walk. 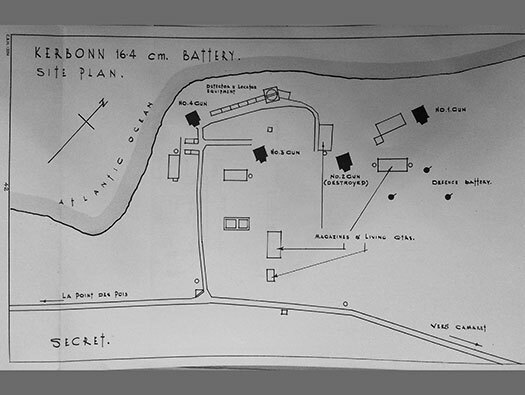 Plan of an H638 hospital bunker, dressing station. The centre room was for admissions, behind it an operating room, both sides, wards. 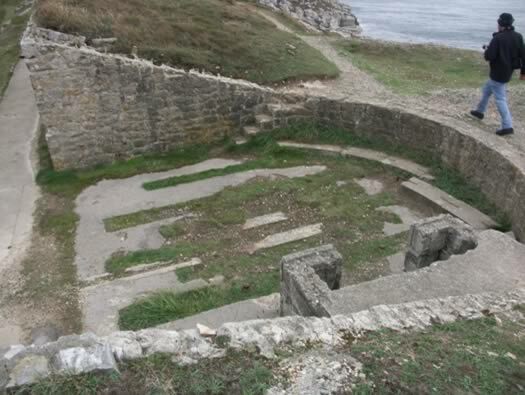 Starting point and dressing station. C346 'M.K.B. Kerbonn' R638 Hospital bunker/dressing station entrances. 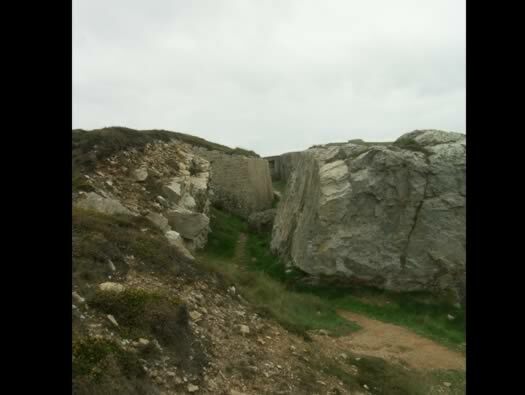 As there was a lot of heavy fighting around here after the fall of Brest, the peninsular was the next objective. 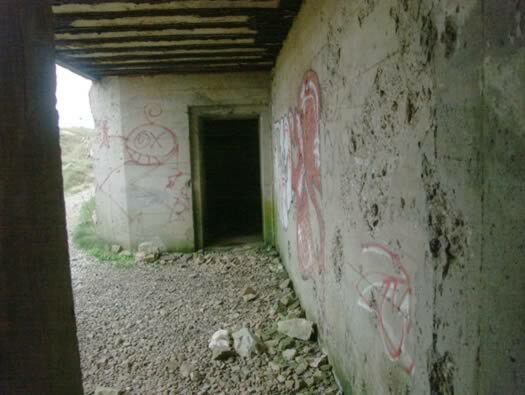 This bunker may have been heavily used. German Army cartoon of a hospital..
German army first aid equipment. 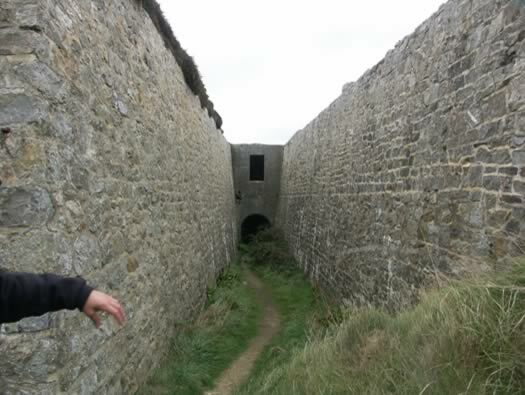 This is one of the two entrances and you can see the entrance sides are angled to allow stretchers access. Four medics carrying a stretcher. 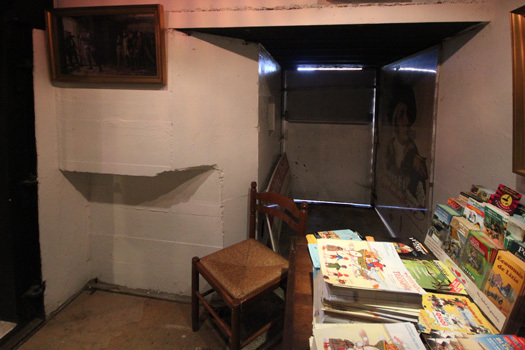 Inside the hospital bunker at Va300 Plouharnel, Vannes, Southern Brittany. Now a museum to a local battles between 1789 to 1815. The battle, or one of them. 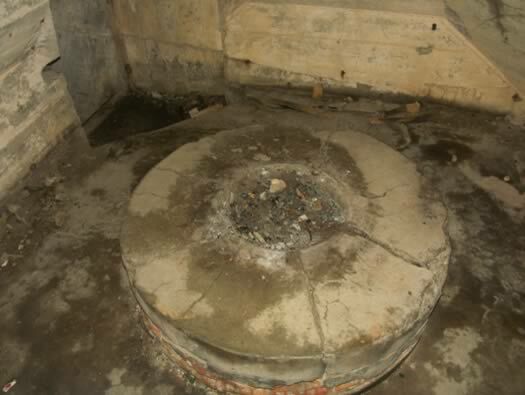 The centre of the bunker. C346 'M.K.B. Kerbonn' Turm 2 M270Sk for a 16.47cm K. M/93-96(f) with an attached 7.5cm Casemate behind. 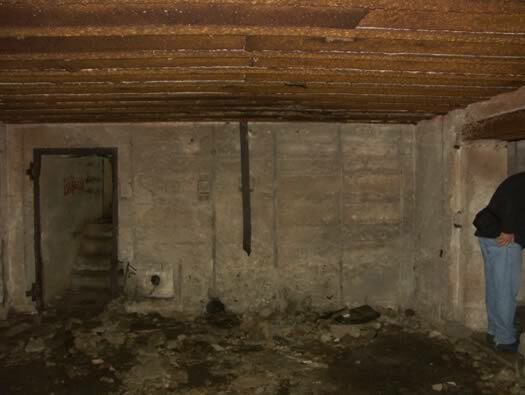 This is a plan and the main picture and is Turm 2 looking into the main gun room which has been completely destroyed and all the metal parts removed. Very little left now, the explosion was pretty heavy. France battleships secondary turret fitted with twin 16.47cm Mle 1893/96 guns. C346 'M.K.B. 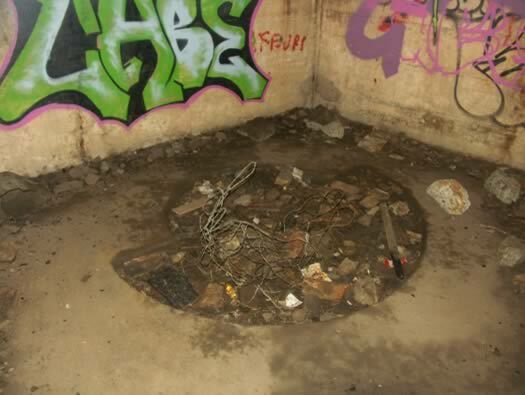 Kerbonn' R622 Twin Group Bunker. 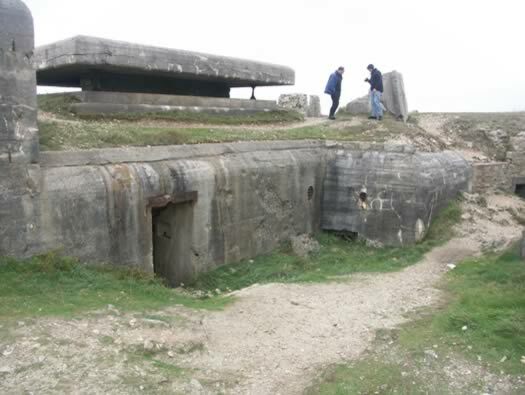 Each casemate has an R622 attached for the guns crews to use as accommodation. 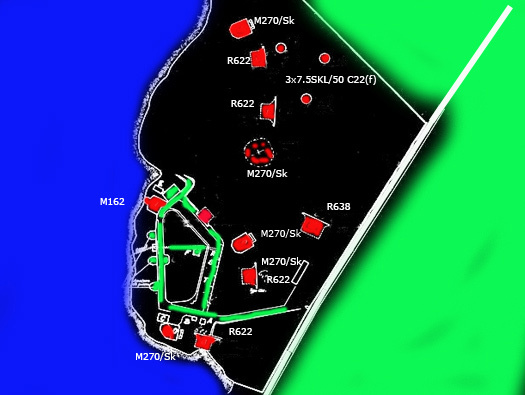 R622 twin group bunker plan. C346 'M.K.B. 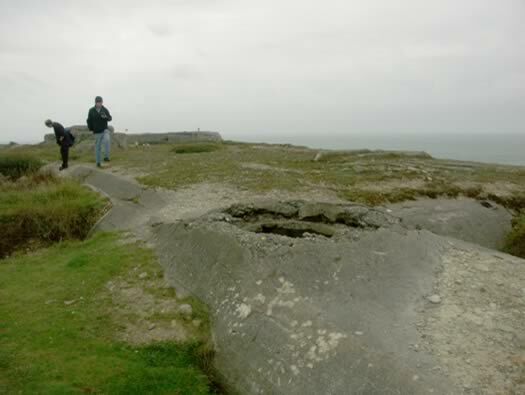 Kerbonn' One of three Fl243a heavy AA emplacement without annex with a 7.5cm K. M/93-96(f) AA gun. Fl243a heavy AA emplacement without annex. 7.5cm K. M/93-96(f) AA gun. C346 'M.K.B. Kerbonn' Turm 1 M270Sk for a 16.47cm K. M/93-96(f) with an attached 7.5cm Casemate behind. Why this battery has attached casemates to their M270 casemates I have no idea, I suppose it gives a sort of 120deg in the front and about 130deg behind gun cover. C346 'M.K.B. Kerbonn' M270Sk with attached 7.5cm casemate. 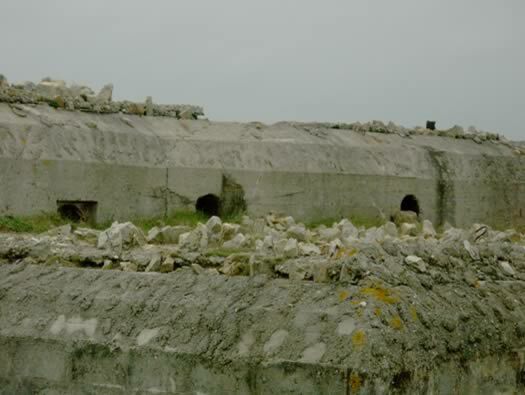 Concrete slapped on the finished casemate and then loose stones added to create a camouflage effect. C346 'M.K.B. Kerbonn' M270Sk with attached 7.5cm K. M/97(f) casemate. 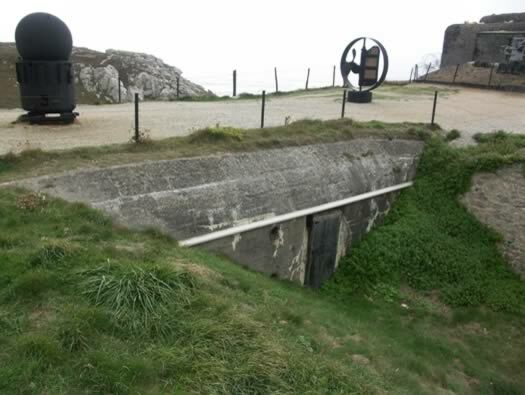 7.5cm casemate attached at the rear of the main casemate. It has its own little cap in the roof and a built up glace's in front of where the gun would have sat. 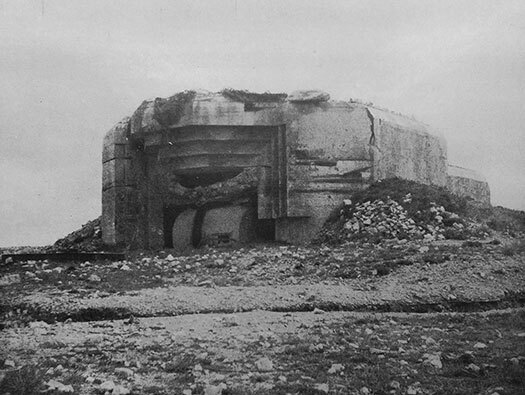 A French pivot for a 7.5cm gun at Gi307 'Reichenberg', Gironde Sud. 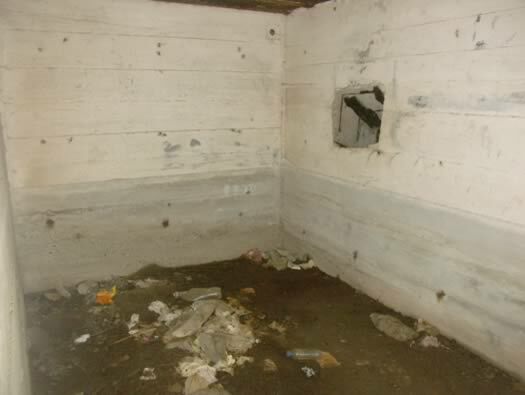 This is the 7.5cm gun room. C346 'M.K.B. Kerbonn' Inside the cartridge room. 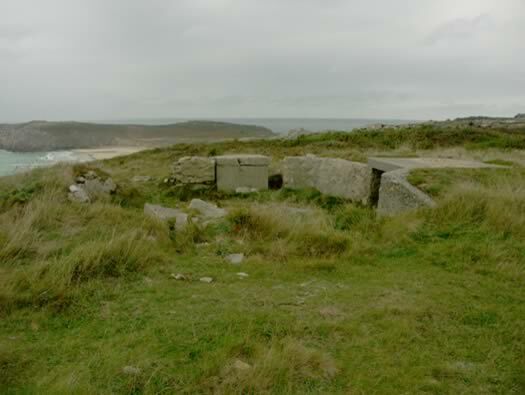 This was the cartridge room for the 16.47cm K. M/93-96(f) gun. C346 'M.K.B. 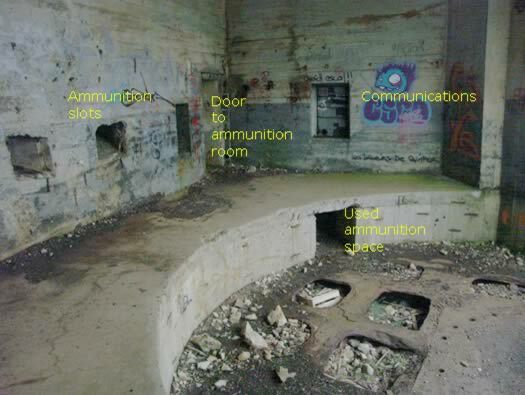 Kerbonn' M270Sk gun room. Turm 1main gun room with ammunition supply slots through the rear wall and cable inlets from the fire control post and the small square opening giving access to the spent ammunition space. 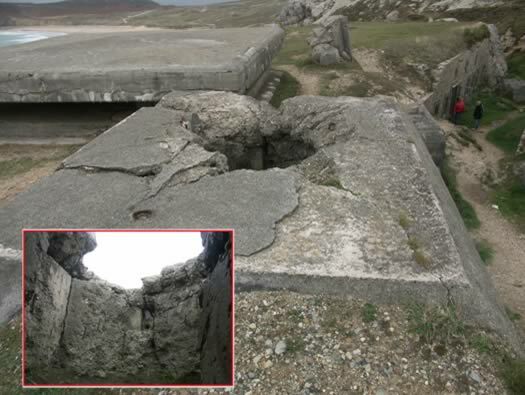 When the gun fired the shell case is ejected from the gun and placed in a hole in the floor and after the battle the cases would have been collected and re-used. Case and shell being carried. Ammunition slot where the case would have been passed through from the case room behind. Another odd detail here is that the floor is made of ships plating. 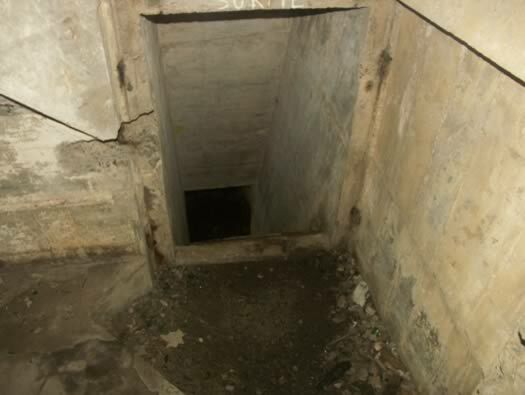 All casemates that I have seen the gun is tied down into the concrete floor. 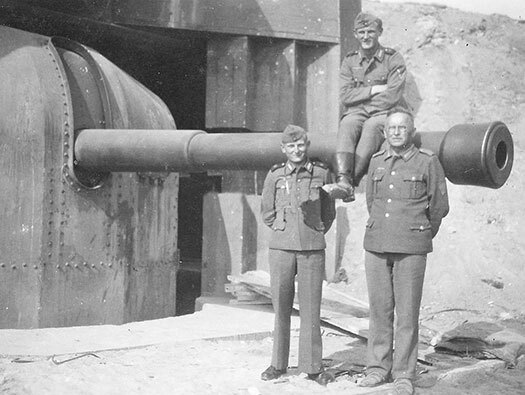 here the gun was attached to a piece of ships deck plate and the casemate built around it. C346 'M.K.B. Kerbonn' M270Sk Turm1. 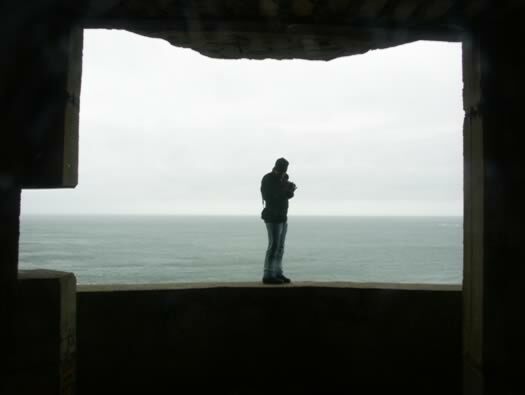 Intrepid bunker hunter braving a cold wet wind. The slot on the left is for the gun sight to see through. C346 'M.K.B. Kerbonn' M270Sk Casemate Turm 1. 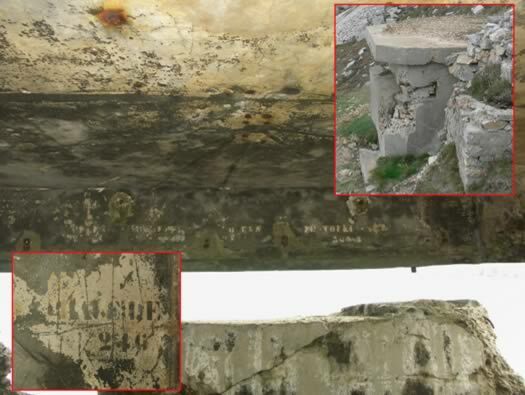 The ships plate with a ring of bolts to hold fast the gun.. 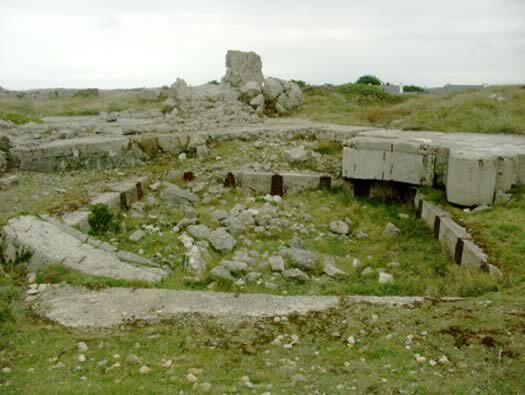 The 16.47cm K. M./93-96(f) gun. French WW1 ships in Lorient harbour. C346 'M.K.B. 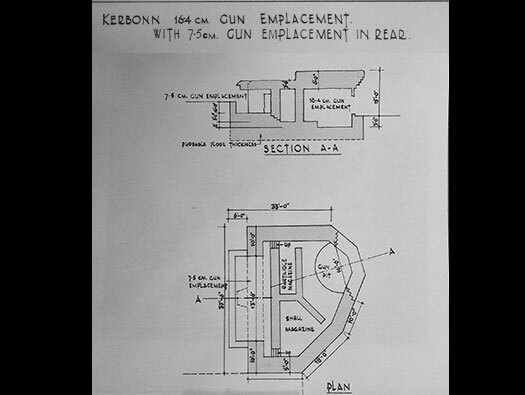 Kerbonn' M270Sk Casemate plan. C346 'M.K.B. 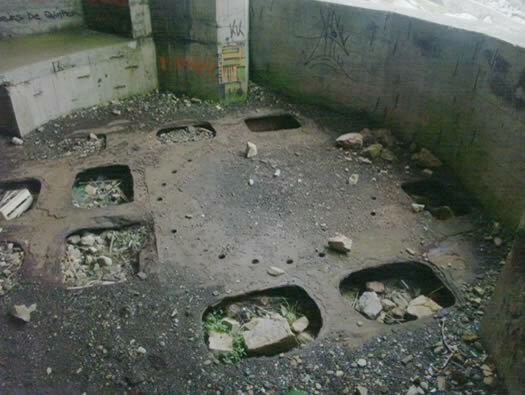 Kerbonn' Trench System. 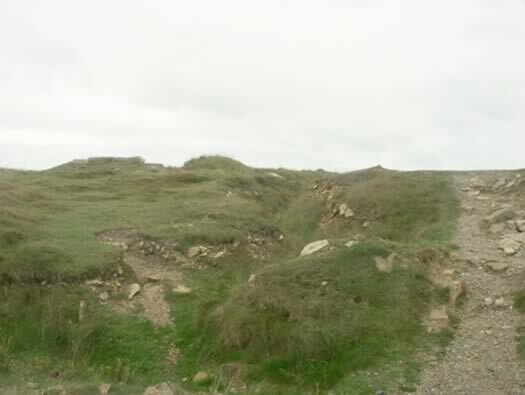 Here are many trench systems around this site and below is a trench bridge allowing men & vehicles cross. The slots around the bottom may have been for wooden shutters to fit??. 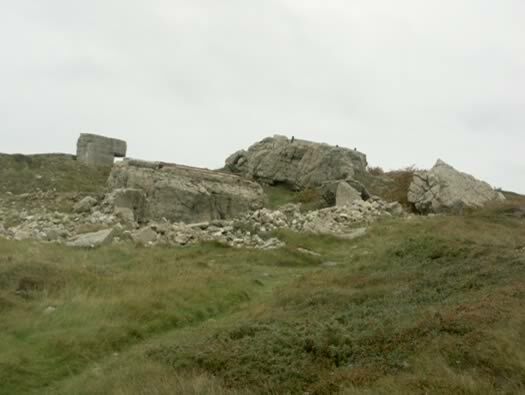 1 Pièce Française de 16.47cm KM 9396(f) gun. C346 'M.K.B. 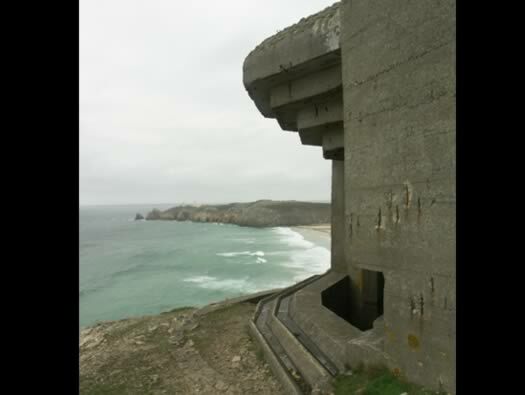 Kerbonn' Fire control and searchlight bunkers. The view from turm 1 towards the fire control and search light. Turm 4 in the background..
C346 'M.K.B. Kerbonn' M270SkÂ Turm 2. Turm 2 destroyed as we saw before and large pieces of concrete have been blown several meters away. C346 'M.K.B. 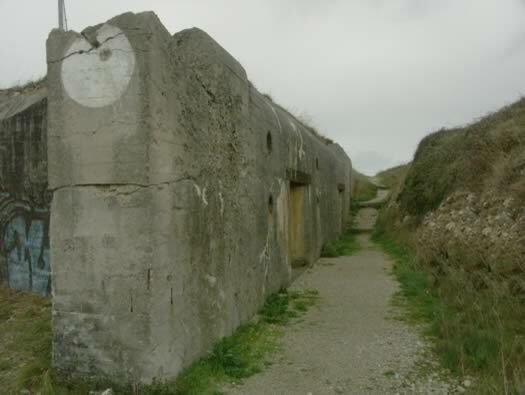 Kerbonn' Part Atlantikwall and Part French Fort. 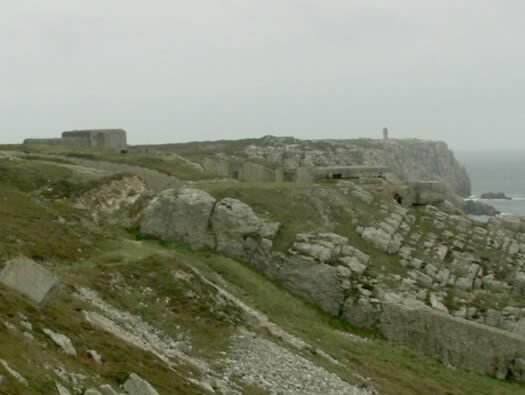 Part of the old French fort. The area in the picture is shown as yellow on the plan, blue is the souterraine/underground and Turm 4 is on the left. C346 'M.K.B. Kerbonn' M162a Fire Control Post. 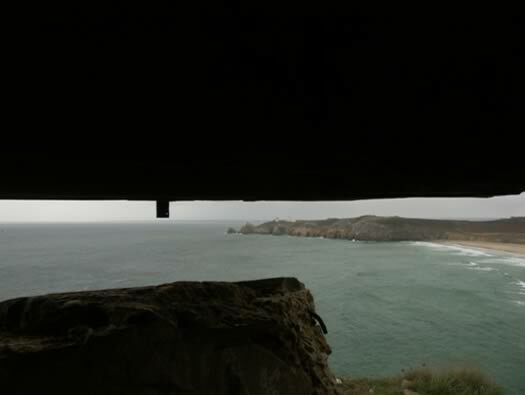 The view across the cliff top at the M162a fire control post (PDT) and to its right should be a search light and I think the original fire control post and on the other side is the French battery position. Plan of an M162a fire control post. 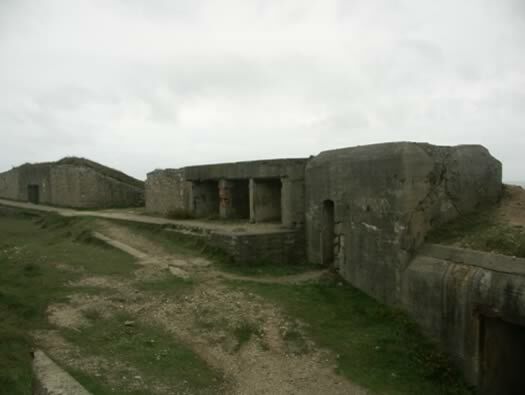 Mixed up here are one of the French entrances to their fort with all sorts of odd bunkers around here. C346 'M.K.B. 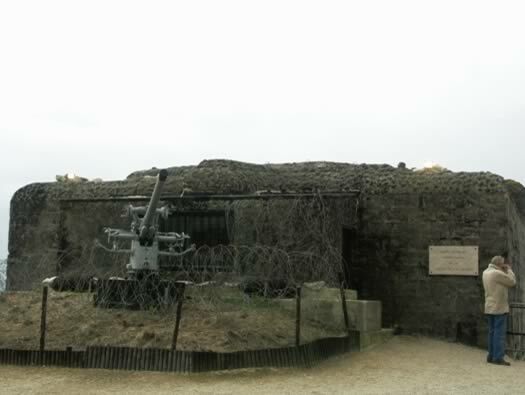 Kerbonn' Earlier French fire control post (PDT) and the M162a behind. 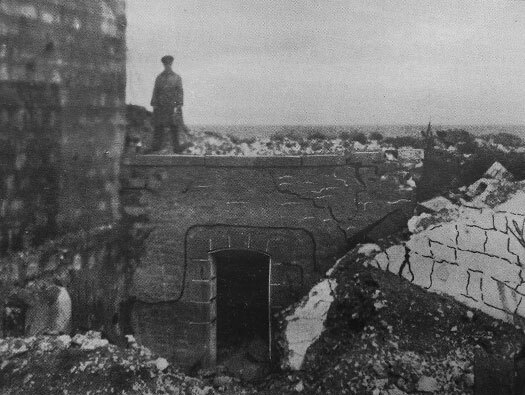 Entrance to the earlier French fire control post (PDT). Steps into the French FCP. C346 'M.K.B. 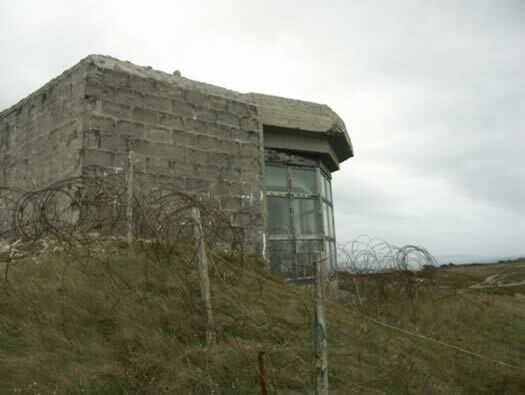 Kerbonn' French Fire Control Post (Post de Direction de Tir). 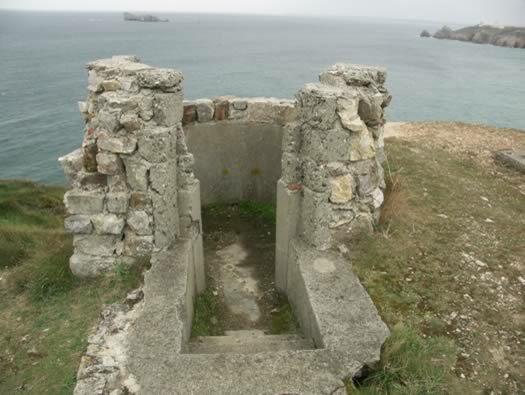 This is the earlier fire control post for the French batteries. Also somewhere around here was the search light. 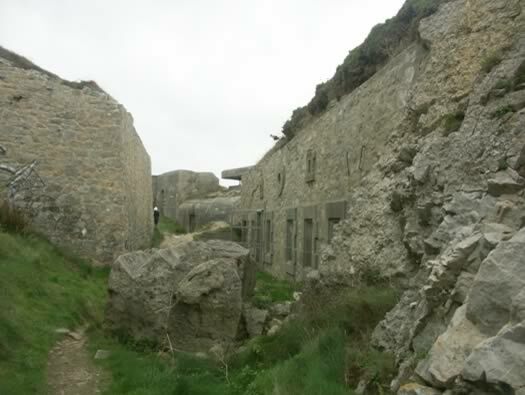 The old French accomadation behind the fire control post. 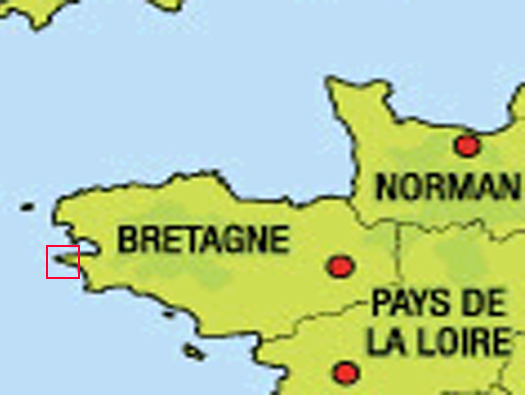 Yellow arrow on the plan is the French part of the Fort. C346 'M.K.B. Kerbonn' French Accommodation. 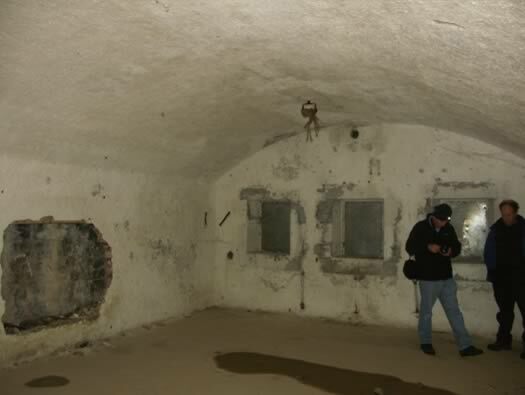 Inside the French batterie office. C346 'M.K.B. Kerbonn' M162a fire control post for light batteries. A very well preserved M162a. 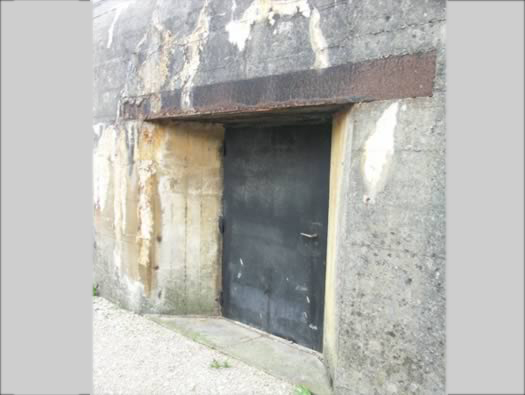 The door entrance and set now below the ground level is the original close combat defence window. 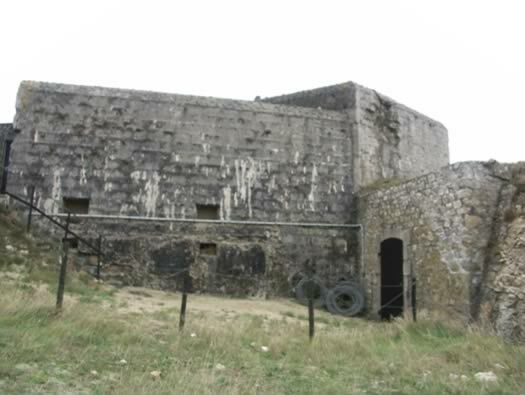 This is where all the work was done, information from the observation above is turned into numbers and delivered to all the casemates and then to the guns. Air pipes still in place. Stairs leading up to the observation room. C346 'M.K.B. Kerbonn' Observation room. 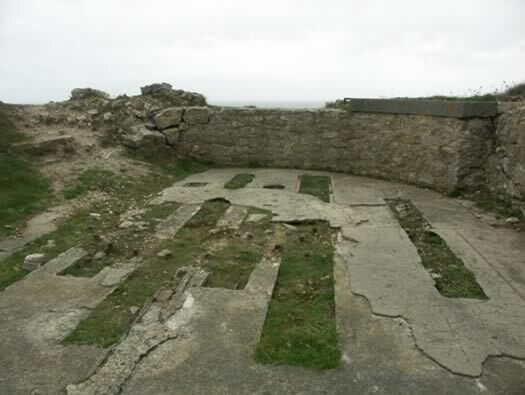 Observation room floor where an observation platform range finder may have stood?. The view from the observation room. C346 'M.K.B. Kerbonn' Fire control post. Another view from behind of the large range finder room. Manhandling equipment into a FCP. C346 'M.K.B. Kerbonn' M162a Fire control post range finder room. 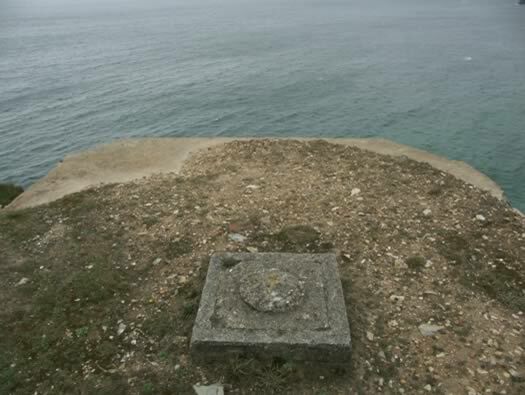 A concrete plinth for a range finder sat on. Range finder on a plinth. The steps from the observation room to the range finding room. 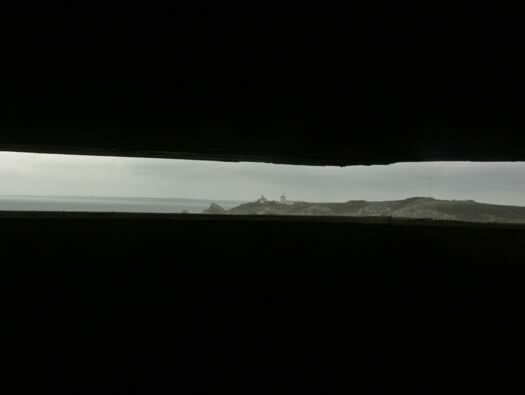 View from the range finder room. 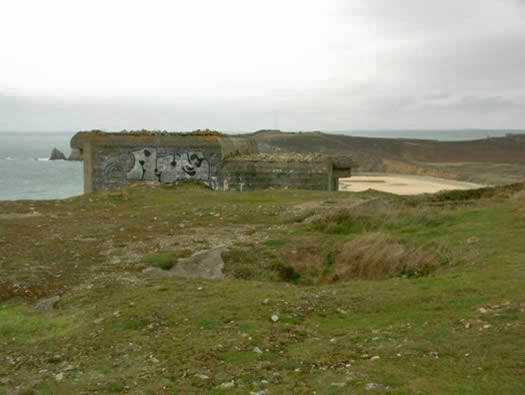 When the occupation army arrived in Brittany, the navy saw the advantage of using Brest as a U-boat dock. So then the navy needed to protect its assets. 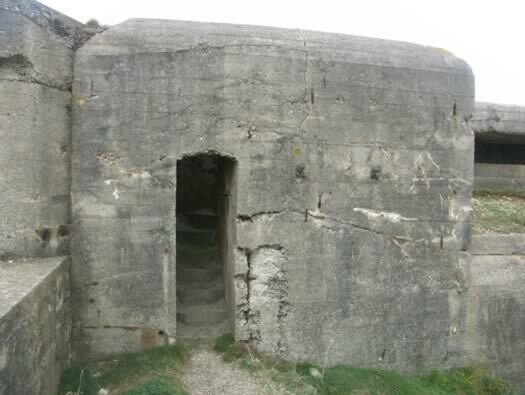 Before the casemates were built, this concrete and rock structure was built to hold a range finder unit. How it used to look. This is what it looked like..
C346 'M.K.B. Kerbonn' Attached Tobruk. 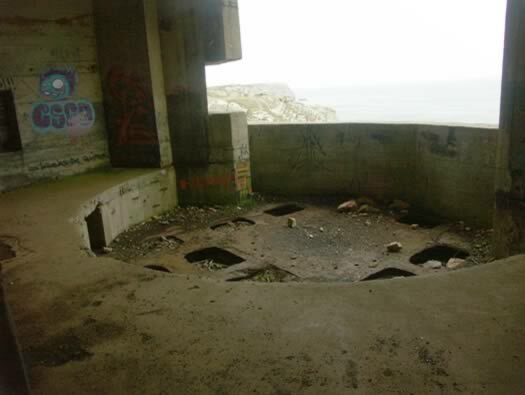 The design of an M162a bunker has a Tobruk set into the left hand side. 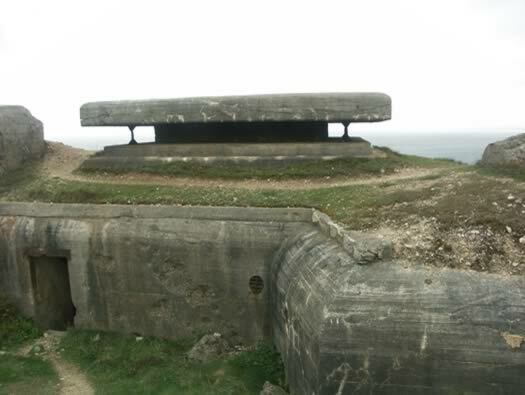 Due to the positioning of this bunker this one has been strengthened and extended in height. 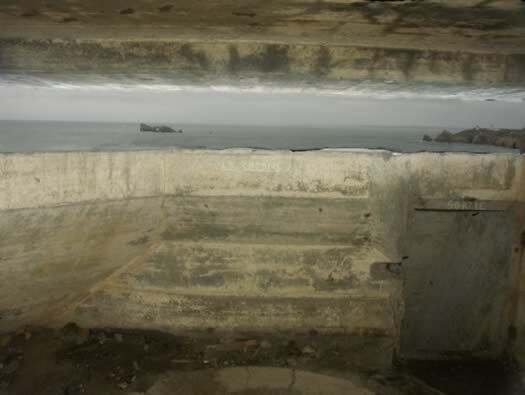 Two views of the top of this Tobruk. 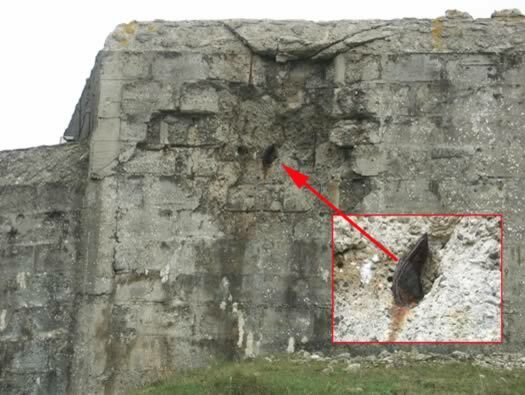 The damage done may have been due to the removal of the machine gun ring as well as some battle damage? C346 'M.K.B. 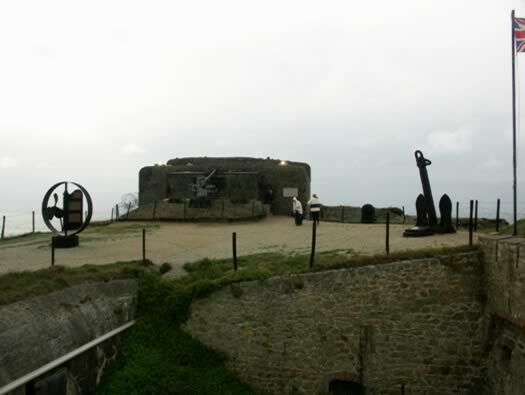 Kerbonn' French gun line. 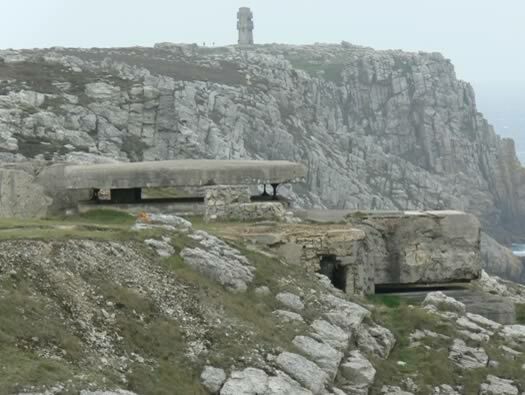 immediate right with the fire control post - Tobruk - French ammunition ready shelters. The view back. 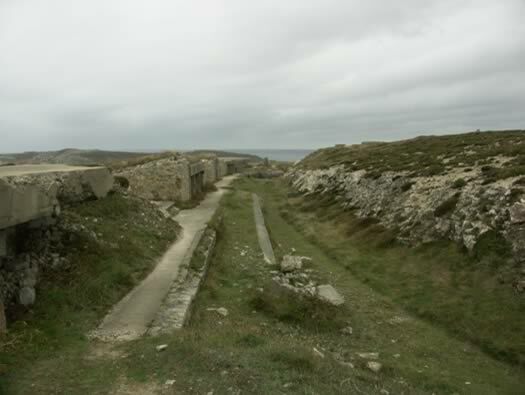 There was a light railway here originally to re stock ammunition from the magazine to the gun line. French pre war gun crew. 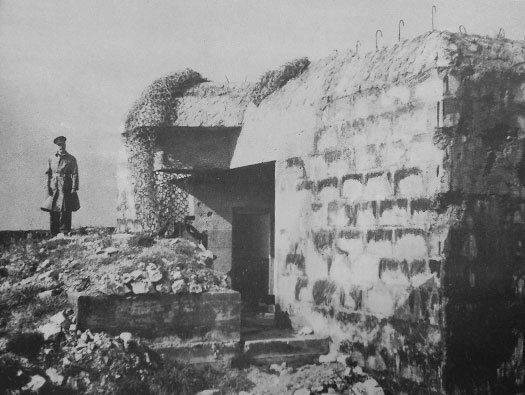 M270Sk of Turm 4 built up against the French fortress building. C346 'M.K.B. Kerbonn' M270Sk. Turm 4 built up against the French fortress building. Turm 4 built up against the French fortress building. C346 'M.K.B. Kerbonn' Turm 4. The view from behind Turm 4 with ships artefacts and a gun. 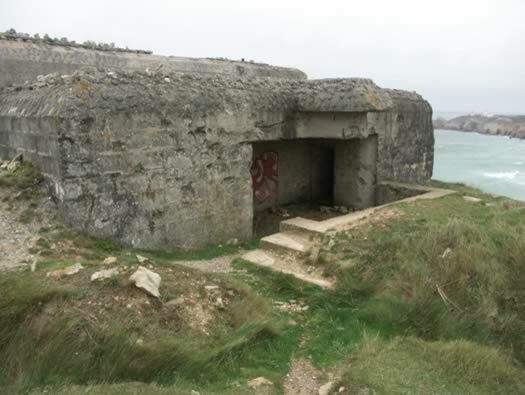 To the bottom left is another H622 twin group bunker built into the causeway. A closer look at the gun and the 7.5cm casemate attached to the rear of this M270Sk. 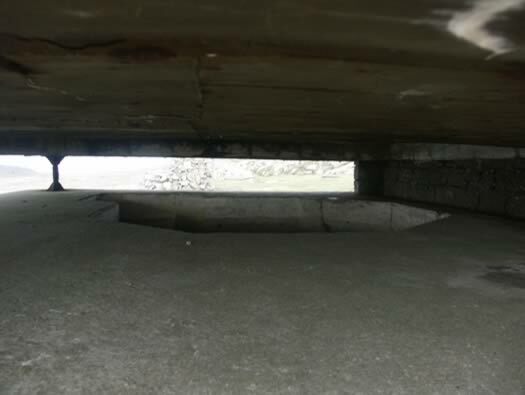 Here it has received a hit from a rather large gun and one shell splinter is still stuck in the concrete. 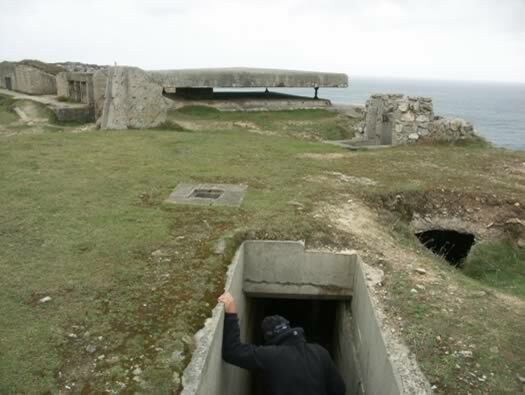 The bunker is made from large concrete blocks, 'Formstein' (Breeze block). 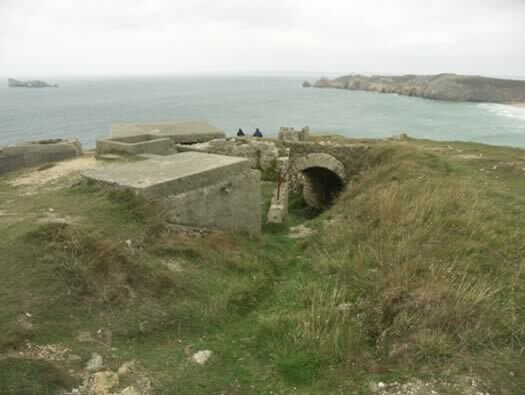 The causeway with an H622 twin group bunker. Two crew rooms and the gas lock entrance. C346 'M.K.B. 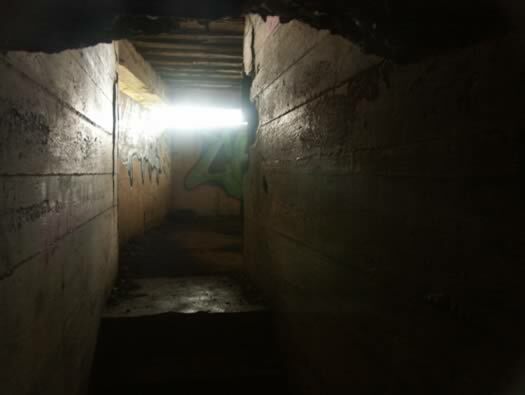 Kerbonn' The Souterraine (underground). I have tackle the Souterraine in another file click HERE.